OTTAWA - Canada's mercury-waste facilities are either patchwork or non-existent as millions of light bulbs containing the highly toxic chemical are set to flood the marketplace. That's a key finding of a report commissioned by Environment Canada in the run-up to a major change in the way Canadians light their homes. Beginning next January, a new regulation will effectively ban the sale of standard incandescent bulbs in favour of energy-efficient versions, most of which contain mercury. So-called compact fluorescent lamps, or CFLs, will also enter the waste stream as they break or burn out, many destined for landfills where their harmful mercury can get into the water. Environment Canada says the mercury contained in a typical thermometer can contaminate five Olympic-size swimming pools to toxic levels. 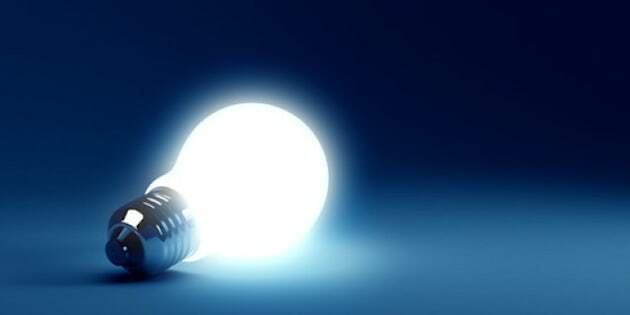 Ironically, the ban on incandescents is partly designed to reduce mercury in the environment because old-style light bulbs are inefficient, and require more electricity from the burning of coal and other fossil fuels that can emit mercury into the air. Environmentalists applaud the ban for eliminating far more fossil-fuel mercury than the new bulbs add — but say Environment Canada must also require the recycling or safe storage of broken CFLs. "Currently municipalities do not store mercury — most of it ends up in landfill," says a report commissioned from Summerhill Impact, an environmental firm in Toronto. The Aug. 31 study also found no national or industry-wide standards for the handling of mercury waste. There was "significant variability between regulations across the provinces, and ... nearly all (mercury-handling) facilities ... rely on these regulations as their main environmental management guidelines, rather than industry standards." The study, which surveyed some 28 of the 123 places that store or manage mercury waste, also found Canada lacks any facility to extract pure mercury from waste, relying instead on mercury distillers in the United States. The authors warn that with growing restrictions on trans-border movements of mercury, such as a U.S. ban on pure mercury exports effective Jan. 1 this year, Canada may need to resolve pending storage issues. "The sector is notably lacking distillation facilities that make mercury re-use possible," says the report, which cost the department $47,000. "This suggests that Canada may need to lay the groundwork for investigating best practices for longer-term storage options for elemental mercury as export bans in other jurisdictions such as the USA could negatively impact their demand for mercury waste from Canadian sources." A heavily censored copy of the 127-page report was obtained by The Canadian Press under the Access to Information Act. The ban on incandescent light bulbs was announced with fanfare by then-environment minister John Baird in 2007, as the new Conservative government was under pressure to take action on climate change. The ban was to have come into effect starting Jan. 1, 2012, but was pushed back two years to "allay" the concerns of Canadian consumers. As of Jan. 1 next year, 75- and 100-watt incandescent bulbs will be effectively eliminated from store shelves, with 40- and 60-watt versions to follow Dec. 31. Canadian retailers have already begun to switch their stocks to CFLs from incandescents to get ready. Environment Canada has proposed, but not yet enacted, regulations setting a maximum on the amount of mercury the new bulbs can contain. The new rules are expected to be published later this year, to come into effect one year later. And a spokesman says the department will propose other regulations later this year that will make manufacturers and importers responsible for managing the waste of their mercury-containing bulbs. "It is anticipated that the proposed regulations would require manufacturers and importers of mercury-containing lamps to establish or join a program that would collect lamps and recover the mercury in an environmentally sound manner," Mark Johnson said in an email. Johnson did not provide a time frame for the proposals, which must go through a mandatory period of public and industry comment. The industry will also need time to set up or expand any recycling or storage facilities. Bob Oliver of Pollution Probe said the coming ban is welcome, but that Environment Canada must enforce a system requiring producers to recycle the waste from their mercury-tainted bulbs. "That might be just like a bottle-return system, some type of deposit you might pay," he said in an interview from Toronto. "There is no safe level of exposure to mercury. You need a plan in place ... to make sure you're managing the flow of mercury through our waste system." Maggie MacDonald of Environmental Defence stressed the importance of educating consumers about the need to keep the new bulbs out of landfills. She cited a website — Earth911.com — that helps consumers locate toxic-waste facilities in their communities. "It is a bit of a concern that we don't have a facility in Canada for distillation (of mercury)," she added in an interview from Toronto. Most of the mercury deposited in Canada arrives from foreign sources through the atmosphere. The Arctic in particular has become a mercury sink where the chemical accumulates in fish, birds and mammals. A dangerous neurotoxin, mercury can cross the placental barrier into the fetus, and is found in breast milk. Minute amounts can damage nervous systems, and even lower IQ levels.